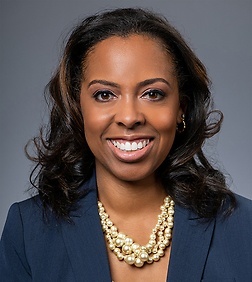 Shmel C. Graham is an associate in the Real Estate, Land Use and Environmental Practice Group in the firm's Los Angeles office. Shmel’s practice focuses on land use and general real estate matters. Prior to joining Sheppard Mullin, Shmel served in the City of Los Angeles Mayor’s Office, under both Mayor Antonio Villagraigosa and Mayor Eric Garcetti. During her tenure Shmel, was responsible for implementing regional technology infrastructure projects, driving social infrastructure investments and leading citywide operational reform efforts in procurement, workers compensation and real estate asset management. Shmel has been a featured speaker on driving innovation in operations in local government, best practices for leveraging public-private partnerships as well as optimizing publicly-owned land to support civic and economic development initiatives. She serves as a board member for the Urban Land Institute (ULI) Los Angeles Advisory Board and the Real Estate Associate Program (REAP). Shmel received her Juris Doctorate from Indiana University School of Law – Indianapolis. Additionally, Shmel completed a summer law study program at Renmin University of China in Beijing, China. She earned her B.A. from the University of Michigan in English and Political Science. Shmel also completed the Los Angeles African American Women’s Public Policy Institute (LAAAWPPI) and the Real Estate Associate Program (REAP).